MULTIPLEX and FILM.UA Group, leaders of Ukrainian theatrical market, announced a wide-scale long-term partnership. Its goal is to develop national film industry and to create a successful business model for cooperation and distribution of Ukrainian films. 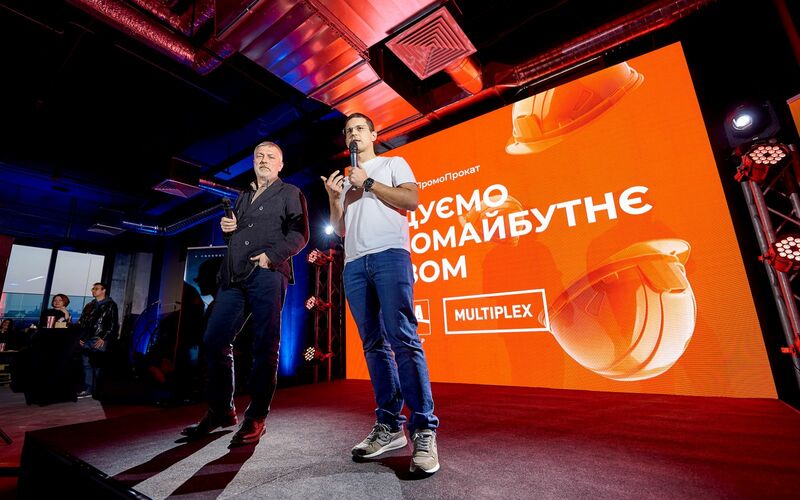 In the framework of this partnership Multiplex Entertainment and FILM.UA Group will jointly work on the releases of feature films the premieres of which are planned for 2019 and early 2020, namely Polina, TheRisingHawk, MrJones(working title), CrazyWedding 2 and Pulse, ensuring efficient promotion and screening schedule depending on the films’ distribution potential. Starting from August 2019, the partners will issue one joint release a month. MMD UA and FILM.UA Distribution are the companies distributing these films on the territory of Ukraine. Such cooperation model will allow to plan production, marketing and distribution of films at the stage of development, to minimize risks and to increase profits. “For fifteen years, Multiplex has been in vesting significant funds in the development of Ukrainian market of cinemas. Presently we are a sure leader on our market, and our plans for chain development allow us to claim that this stand will only strengthen. During the recent years we have been following the development of Ukrainian commercial cinema with excitement because our national product can be a great addition to Hollywood releases and seriously help our business be successful. For example, only in 2018 in our chain Ukrainian films collected 57 million UAH and over 693 thousand viewers. Some time ago we became aware that stimulation of local production development can have a direct positive impact on our main business. We started looking for partners we’d have common goals and interests with. And we found FILM.UA, another leader of the market in its field. We joined our competences for a pilot project which turned out to be immensely successful. So we were willing to bring our partnership to a new strategic level where common use of infrastructure and expertise yields maximal results. 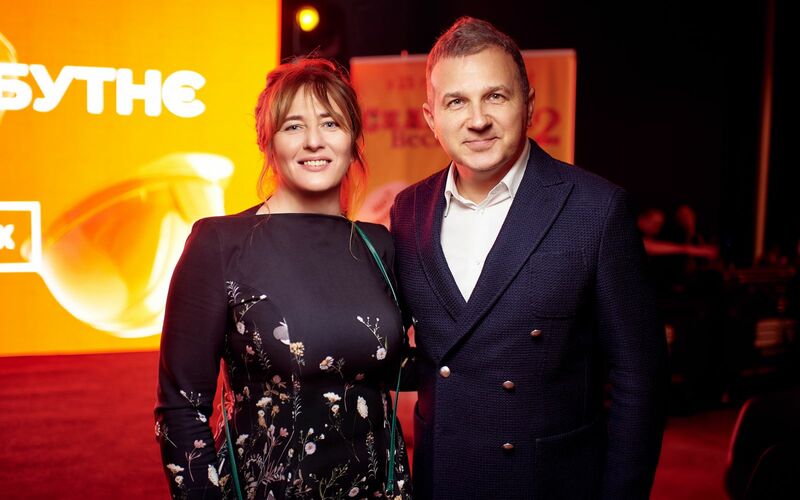 Today this signature partnership has officially commenced, and we count on great success,” says Vitaliy Pysarenko, CEO at Multiplex cinema chain. “2017 and 2018 became the years of a real break through for Ukrainian film industry. During this period, the sales of tickets for films produced in Ukraine amounted to over 289,310,000 UAH, with 3,000,750 tickets sold. Out of those 110,143,000 UAH and over 1,427,000 viewers came from FILM.UA Group projects. In the following 12 months we plan to issue fivewide-scale releases indifferent genres for various audiences and reach new heights in the number of tickets sold. In Multiplex we found not only a partner but also a supporter who treats film distribution as business, just like us. Thanks to this cooperation we want to achieve even higher results which will become new records for Ukrainian film industry. And if you want to join the team bringing Ukrainian cinema to the new level, welcome a board, there are tons of opportunities and we are happy that many people a real readywithus. 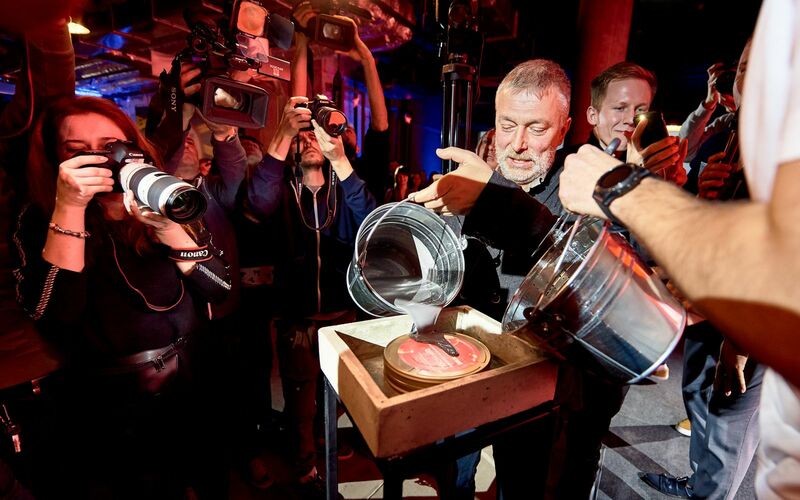 Keep following the news,” says Serhiy Sozanovsky from FILM.UA Group. “This is a great honor and a great responsibility at the same time to present projects of two biggest players at Ukrainian filmmarket. We will put all efforts in and will use all of our experience to deliver high economic results for Ukrainian cinema”, says Roman Martynenko, CEO at MMD UA. In the framework of this agreement MULTIPLEX and FILM.UA Group will officially announce the dates of film projects going into wide Ukrainian release. 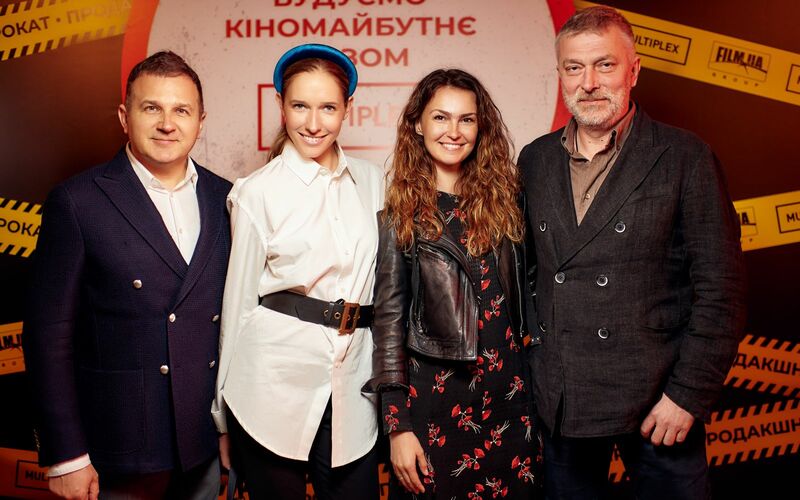 Starting from August 22 Polina adventure fantasy feature directed by Olias Barco and jointly produced by Kinorob (Ukraine) and WILD TRIBE FILMS (Belgium, France) with the support of Ukrainian State Film Agency will appear on cinema screens. On October 10 the torch will be picked up by The Rising Hawk historical action feature directed by Akhtem Seitablayev and based on a novella by Ivan Franko (the film is produced by Kinorob and Cinema Day with the support of Ukrainian State Film Agency). The general media partner and broadcaster for the film is Ukraina TV channel. MrJones historical thriller (working title) by a world-known director Agnieszka Holland co-produced by Poland (Film Produkcja with the support of Polish Film Institute), Ukraine (Kinorob, FILM.UA Group with the support of Ukrainian State Film Agency) and the UK (Boy Jones Films) will be presented to the audience on cinema screens starting in autumn. The general media partner and broadcaster for the historical thriller is Ukraina TV channel. And on December 25 the cinemas will see the comeback of #BestComedyoftheYear, CrazyWedding 2 produced by Prototyp Production and FILM.UA. The first release in 2020 will be Pulse directed by Serhiy Chebotarenko (production by Kinorob) telling the story of Ukrainian track-and-field athlete, Paralympic champion of 2008 Oksana Boturchuk. The film will be widely released in Ukraine on January 30. 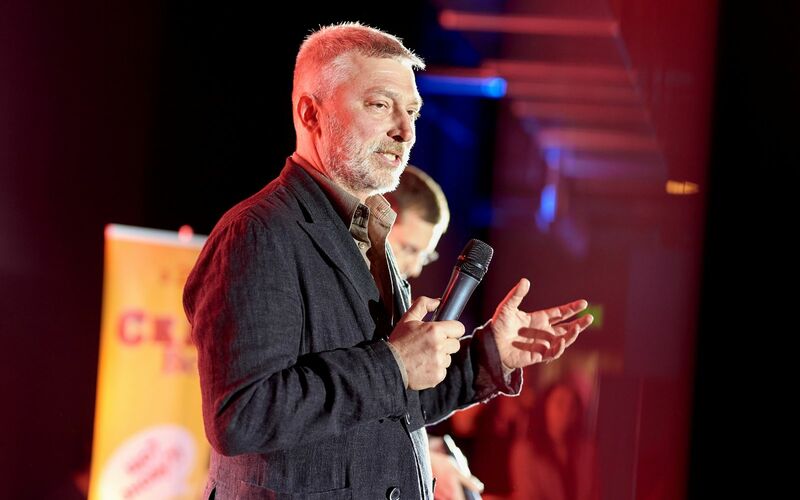 As a symbol of long-term strategic partnership, company representatives put a memory capsule in the foundation of a new premium MULTIPLEX cinema to open in Kyiv TSUM mall in 2019. FILM.UA Group is the biggest Eastern European vertically integrated group of companies in film and TV production. The Group develops, produces, adapts, distributes and delivers audiovisual content providing a full range of services. MULTIPLEX is a chain of multi-screen movie theaters founded in 2003, a leader in film distribution market. Since 2009, Multiplex Holding has occupied leading positions at the theatrical market of Ukraine. The cinemas of the chain are present in 16 Ukrainian cities: Kyiv, Dnipro, Lviv, Odesa, Zaporizhzhya, Mykolayiv, Kherson, Kharkiv, Khmelnytsky, Zhytomyr, Kryvyi Rig, Mariupol, Chernivtsi, Poltava, Lutsk, and Cherkasy. MMD UA is an independent Ukrainian film distributor. 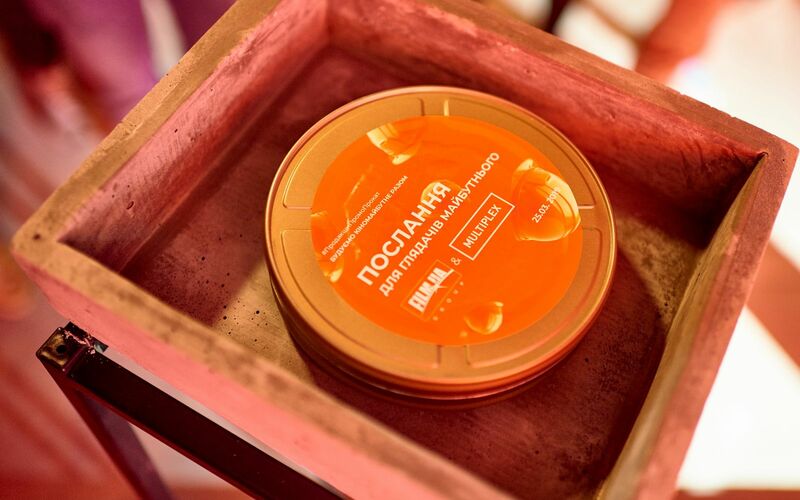 The film company selects theatrical content, cooperates with cinemas, accompanies Ukrainian films from screenwriting stage to their release, develops unique advertising and promotion campaigns and organizes social projects.